Valentine’s Day. The day of l-o-v-e.
A day to show affection to the ones we love most. A day full of hallmark cards, overpriced flowers, and yummy, chocolate candies. A day of hugs and kisses and valentine wishes! But if Valentine’s Day isn’t your thing, and you’ve been dreaming of a day to celebrate with just your girls, mark your calendar because Galentine’s Day is for you. February 13th is known as the day for the ladies to celebrate ladies. Only the best day of the year. It’s basically like Valentine’s Day, only you spend it with your best girlfriends. What could be better?!?! We thought it would be fun to share a few of our own favs with you! My favorite Valentine’s Day traditions are sending out Valentine cards to my best friends, having dinner with all my friends, and all the yummy chocolate! My favorite things: coffee, Shaylee (my dog), my home, Target, creativity, baking, and sweets! 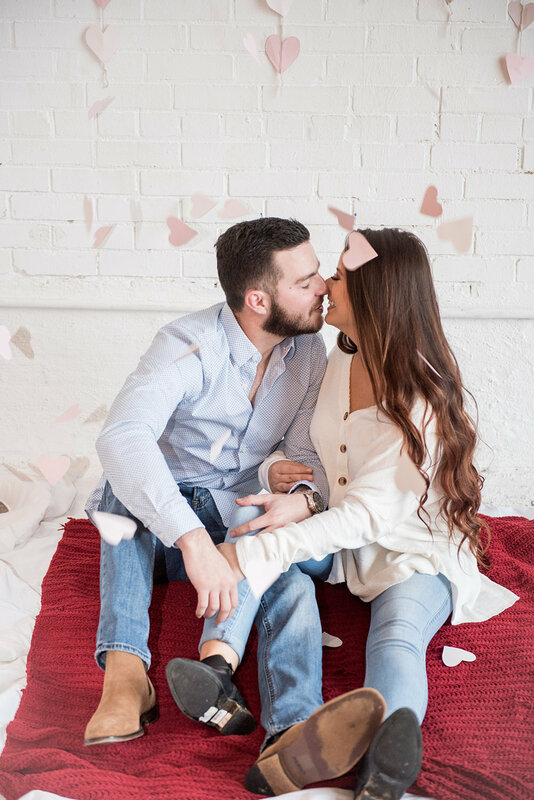 My favorite Valentine’s Day traditions are making Valentine’s crafts, sharing and guessing the flavors in a box of chocolates with my hubby, and this year we are starting new traditions with our sweet, baby girl! My favorite things: iced coffee, my sweet little family, chocolate chip cookies, crafts, fashion trends, home decor, and snuggles! If you are in need of a few Valentine’s love notes, here are a few of our favs!! Words cannot espresso how much you mean to me! I love you from my head tomatoes.